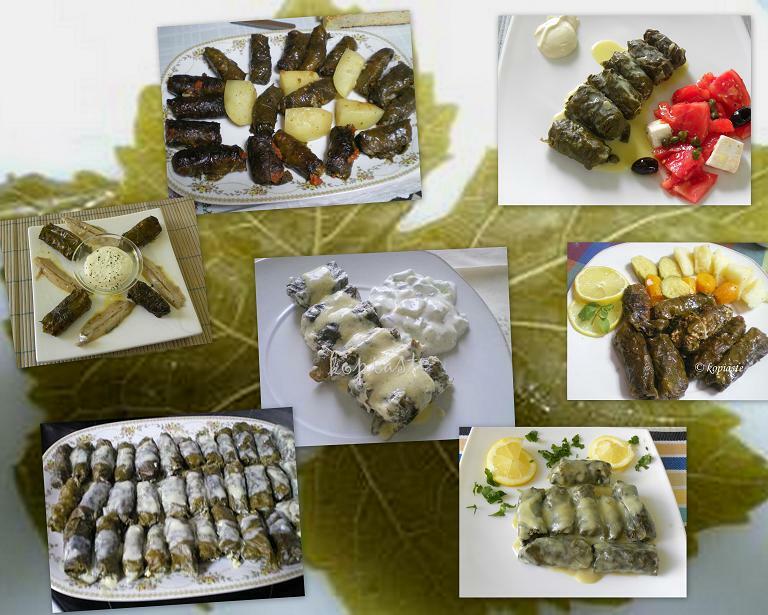 Dolmades are stuffed vine leafs filled with minced meat and rice or when made vegan, just with rice and herbs. If you are using fresh vine leaves wash and then put them in a sauce pan with plenty of water and boil for 5 minutes. If you are using frozen ones, follow the same procedure without defrosting them and then remove cling film. Cool them in cold water and strain them. Wrap up into a cigar shape (don’t fold too tight as the rice will expand during cooking). Repeat with the remaining grape leaves and filling. Place in the pan starting from the edge to the centre. Second and third layers may be placed on top then cover with the plate (which must be exactly the size of the pan. This is done so that when the dolmades are boiling will not open). Cover with the plate and cook according to the recipe.